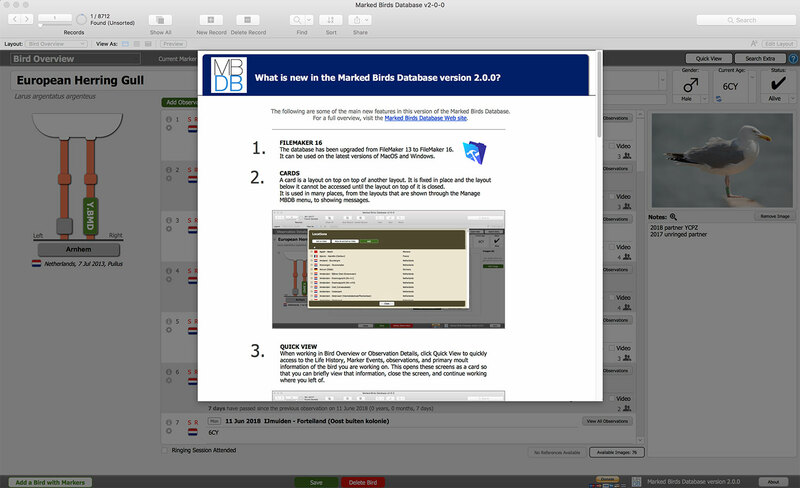 I’m happy to announce the release of the Marked Birds Database version 2.1.0. It contains two main new features, various improvements, changes and fixes. For a full list, see the bottom of this article. A link to the download file as well as instructions about installing, setting up and using the database can be found on the Marked Birds Database page. Users who are using a previous version can import their data into the new version. The main new feature is that the BirdRing import now supports all projects: from coded and uncoded color rings, to flags, metal rings, neck collars, nasal saddles, and wing tags. Many changes have been made in the BirdRing import to make this work (see below). Other general improvements to make the BirdRing import more efficient have also been implemented. The other new feature is that a Visual Display has been added for birds that are fitted with uncoded rings and/or flags. To see an overview of what is new in this version, choose Manage MBDB > What is New? The BirdRing import has been much improved and changed in places. All Marker types that can be entered in the BirdRing app can now be processed. 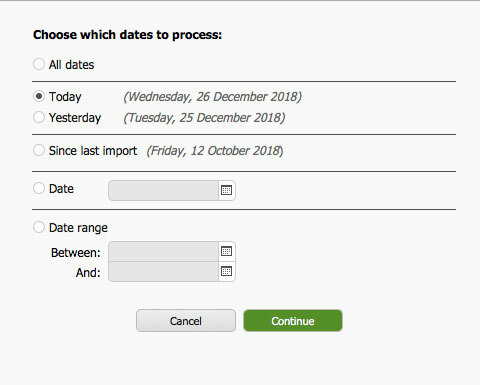 When a CSV file contains observations of multiple days, it is now possible to choose the date(s) to process, including all dates after the last processed date. For birds that have been entered in the BirdRing app a Visual Display of that bird is now shown (when available). When a matching bird has been found, the Visual Display of that bird is now shown (when available). This makes it easier to spot any differences between what has been entered in the BirdRing app compared to what exists in the database. 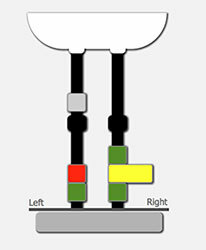 For medium Markers (such as those fitted on gulls), any mismatch in Marker position, reading direction, or code is indicated by a red warning icon. Hover over the icon to see a tooltip with information about what is incorrect. Data relating to the moment when a bird was last observed has been improved. It is now possible to include 1 co-observer. A Visual Display has been added for showing how uncoded rings and/or flags are fitted to a bird. It is automatically assigned for birds that are part of the relevant projects when adding birds through the BirdRing import. To assign it manually to any existing bird in the database, go to Bird Settings > Marker Displays > Open and choose ‘Uncoded rings or flags’. Observations: A check box named ‘Mortis’ has been added. This makes it easier to indicate when a bird was seen dead. When the check box is set, the bird status is automatically set to ‘Mortis’ as well, and an icon is shown in front of each observation that is shown in a list (such as on the Bird Overview layout or in search results). Observations: When opening an observation from the Bird Overview layout and subsequently closing the Observation Details to return to Bird Overview, the observation that was opened is now selected in the list. This is done to better indicate the observation that you are working on. This feature only works when returning to the same bird and more than one observation exists for the bird. For documentation about using the database, see the Marked Birds Database Manual. Please note that the Marked Birds Database has been developed using FileMaker 16 on MacOS 10.13 and that FileMaker 16 is officially not compatible with MacOS 10.14. I don’t have access to MacOS 14 myself so I have not been able to test if any issues exist. It will most likely work but I cannot guarantee it. Please contact me if you run into any difficulties (although I may not be able to resolve them). The latest version of FileMaker 17 is supported on MacOS 10.14, but I have no plans currently to upgrade to this version. This is mainly because I do not use MacOS 10.14 myself but also because the upgrade will cost me 250 Euros. Feel free though to contribute by donating to the development of the database (see the link in the database) so that I can invest in expenses like this. Just to remind you to regularly create a backup of your database, simply by creating a copy of the whole folder. Preferably store it in a different location (such as on a USB-stick) than the system on which the database is installed. You might also want to add the date to the folder name so that you can easily recognize when the backup was made. Do this especially after adding many birds, observations, life histories, images, and so on. Basically, each time you think: “I don’t want to have to go through the process of adding that again”, make a backup. This could be daily, weekly or any time you see fit. 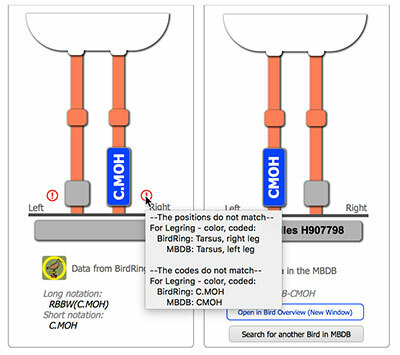 MBDB-261 BirdRing import: Add support for wader-type markers – Phase 2. MBDB-932 Upgrading: make additional upgrade steps dependent on version. MBDB-1037 Version tracking: Add MBDB table to import steps. MBDB-1045 BirdRing import: let CSV import read long notation code. 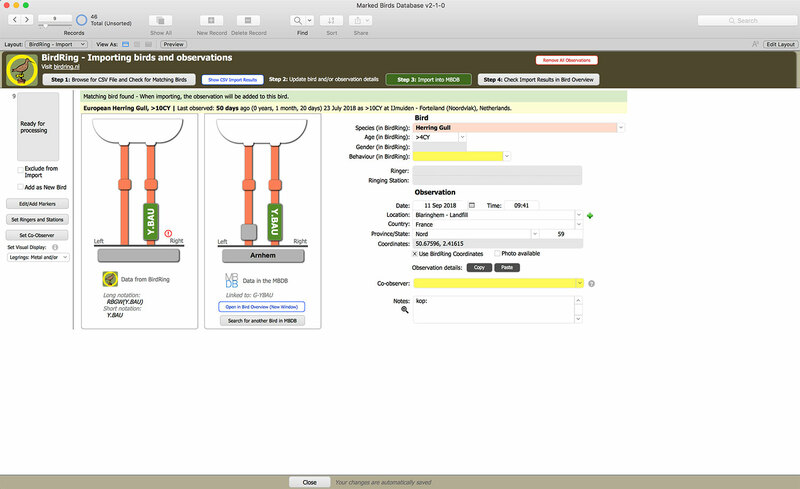 MBDB-1061 Quick View: add Last Updated field to Quick View > Life History. MBDB-1064 Reporting options are not dimmed when setting Observation Type to other than Personal Observation. MBDB-1067 ‘Observation Details > View images for’ not updated after adding an image. MBDB-1068 BirdRing import – ‘Record could not be modified’ error when batch updating ringers. MBDB-1072 Bird Overview: select active observation when returning from Observation Details. MBDB-1073 Unable to manually change Current Age. MBDB-1074 BirdRing import – Incorrect Last Observed details when match exists but bird contains no observations. MBDB-1076 BirdRing import – Incorrect Last Observed details when observations after observation date exist. MBDB-1078 Layout shown as card is incorrectly shown in fullscreen view. MBDB-1080 Submit observation by e-mail: Add bird age, hide remarks when there are none. MBDB-1084 Searching: add field for filtered code. MBDB-1085 Quick View > Life History: make URL clickable. MBDB-1087 BirdRing import – Exclude birds based on observation date. MBDB-1090 Create an overview of the ring positions to use for each Visual Display. MBDB-1091 FileMaker 16 on Windows 10: menu bar is hidden. MBDB-1095 Add ‘Mortis’ flag to observation. MBDB-1096 Add Marker Event type ‘Marker moved position’. MBDB-1097 Add new uncoded/flag Visual Display to all layouts. MBDB-1098 Observation details: When creating an observation the View Image For Date button is empty when no images exist. MBDB-1100 Reporting: add day, month, and year to Excel export. MBDB-1101 BirdRing import: Current age is not set correctly when entering observations from previous years. MBDB-1102 Remove Plumages table from import steps.